VIDEO 'Flippin' Flaps': One click animate the unfolding of your mesh faces. VIDEO 'PathRig': Generate paths that are guided by target nodes, these paths can act as trajectories, path deforms or both. TreeLinker': Link objects together by distance from an object to the next object. Update: Device - 'Explode' Expanded Features: Explode by 5 levels : Face, Element, Material ID, Smoothing Group, and UV Seams. Explode selected contiguously by face selection. Retain normals so your exploded objects still appear smooth. 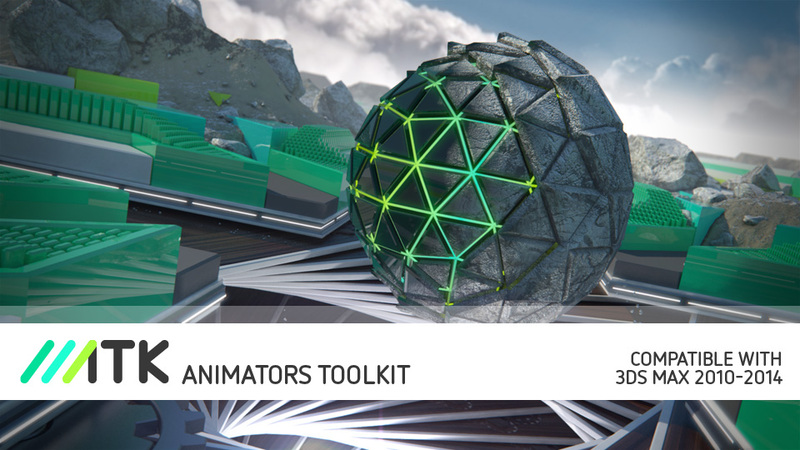 ATK is a compact suite of modular tools to rig, copy and manipulate animation in a few clicks, without plug-in dependency. There is no need for extra licenses because ATK uses farm-friendly methods native to 3DS Max, so it can easily fit into your production & render pipelines. 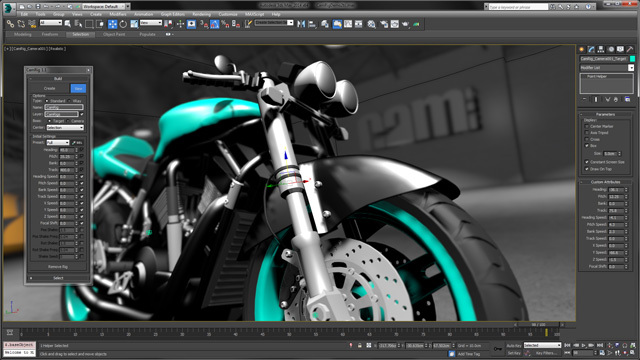 PathRig 1.01: New render spline controls and bug fixes. by distance from an object to the next object. Bug fixes in CamRig and FlippinFlaps. animate the unfolding of your geometry faces. CamRig update - Added Octane camera support. play backward, or freeze track animation - Matrix style. Bug fixes. Preview now works on objects with materials. selected. Retain smoothing from your original geometry. trees randomly from a reference list to selected objects. single faced objects. More bug fixes. middle keys between selected keys based on a curve. detailed walk-through on the ATK website or ScriptSpot. Reverse now supports custom attributes. Kronos Update. Faster, now supports custom attributes. and create powerful camera rigs in seconds! Bug fix: 'Reverse' now supports selections. Device: 'Copy Materials' materials inherit object name. Submitted by jason0516 on Fri, 2013-06-14 14:02. Submitted by artkitekt on Mon, 2013-06-10 20:04. Copy Keys to Script rotation offset fix. Auto Updater delayed by 1 second. Submitted by artkitekt on Mon, 2013-06-10 20:01. Submitted by dsp_418 on Fri, 2013-06-07 21:55. Great job guys, keep up the good work. Submitted by JokerMartini on Thu, 2013-06-06 14:28. We wanted to make sure there was a good support system for a tool we devoted so much time to, as we continue to develop it as well. Submitted by maxnix on Thu, 2013-06-06 06:40. Great script, and sets a very high standard for implementation of the install, registration and documentation! Submitted by artkitekt on Wed, 2013-06-05 04:02. Submitted by artkitekt on Wed, 2013-06-05 11:55. Submitted by artkitekt on Tue, 2013-06-04 20:33. Need technical support or have a suggestion for a new feature? Please email us at [email protected] and we will work with you. Submitted by artkitekt on Tue, 2013-06-04 15:15. I apologize for the inconvenience. Please PM me your email address and I will work with you in detail until we resolve this issue.